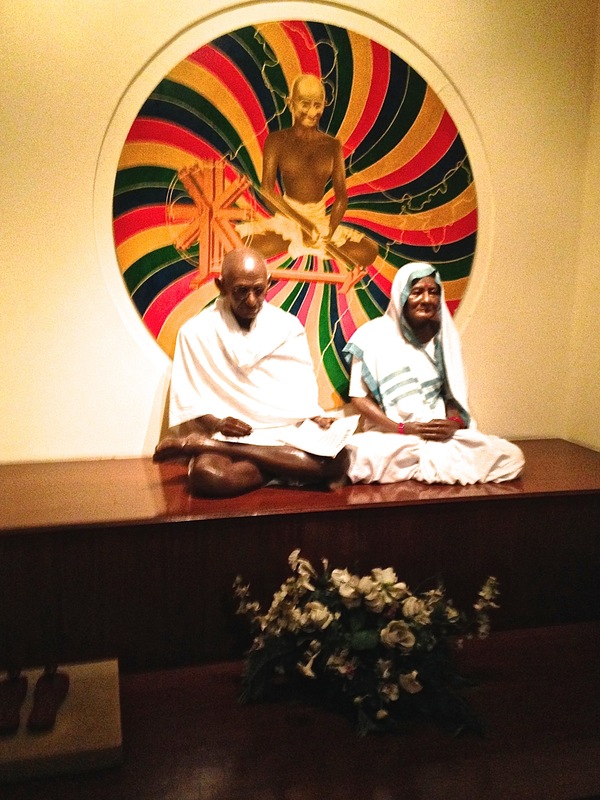 In late afternoon we visited the Gandhi Smitri, official residence for the last 144 days of Mahatma Gandhi’s life. 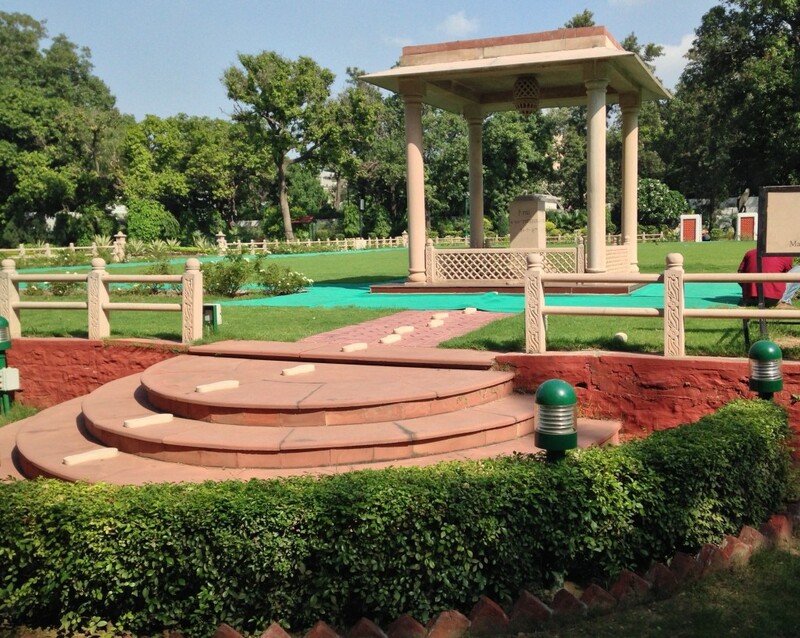 The grounds were pleasant and the displays gave a strong sense of Gandhi’s contribution to India and the world. In a way, I’m glad I got to see it. When Is Veneration Too Much of a Good Thing? 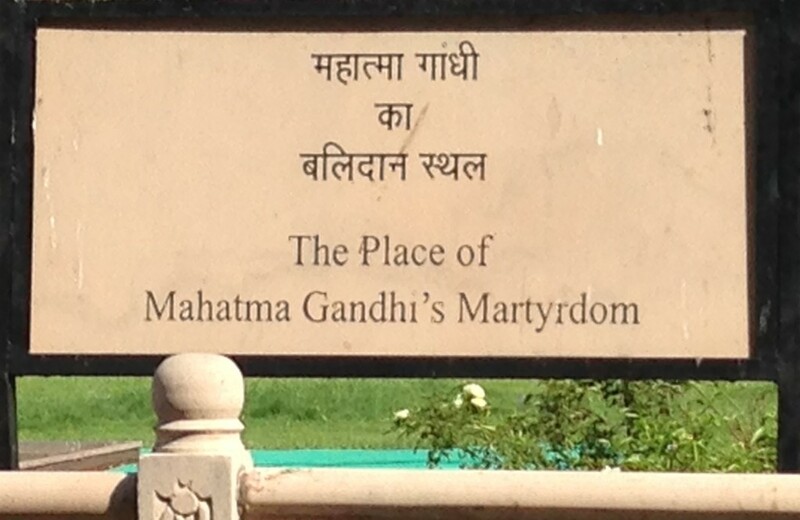 I felt sort of bemused all the while because I don’t think Gandhi would have appreciated being honored in such a way. I don’t think a man who preferred life in an ashram would approve of such a monument at all. People have a deep need for heroes, though. Monuments in every country signal our admiration for the brave, the strong, the true. Sometimes political leanings don’t seem to matter after a few centuries have passed. Certainly all conflict has the power brokers and the losers. But somehow Gandhi’s belief system cannot be reduced to standard twentieth century rhetoric for the heroic. For all his belief in simplicity, Ghandi’s choices created challenges to the world’s political thinking, complications that cannot be simplified nor reduced. On our way back to the hotel, we drove past the India Gate War Memorial to Indian and British soldiers, Parliament House, and the Presidential Palace, all important monuments. I made a mental note that this area of the city would bear further investigation next time we visit. 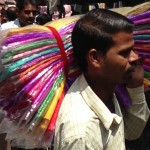 At the end of a jam-packed first day in India, I was eager to slide into bed between clean white sheets. I showered, making sure my mouth was firmly closed, took a last swig of bottled water to ward off dehydration, and started to close the bedroom curtains. But for one instant I made the mistake of looking down. Outside the window, between the skyscrapers, I saw an ownerless cow. Now my father was a cattle rancher in Western Canada and I know my cows. Those I knew well did best in green grass up to their knees and a stout barbed wire fence on all four sides. But apparently not in India. After one day in India, despite all that pre-conditioning, spotting one lonesome cow in downtown New Delhi, human population 18 million, didn’t even register a blip on my Richter scale of amazing things I’d seen. I murmured, “Hey . 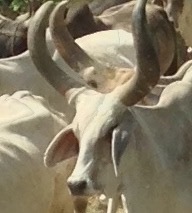 . . there’s a skinny cow outside,” and promptly fell asleep, my eyes, ears, and tummy full of the wonders of India.